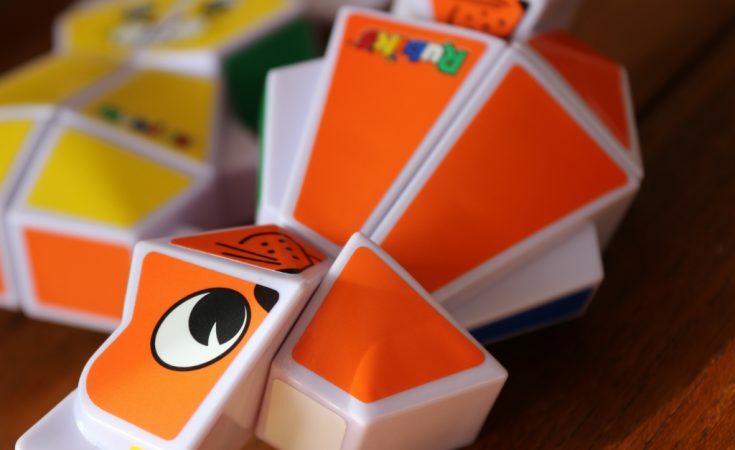 If you think your child might just be a little genius, or perhaps you just want to help them develop their problem-solving skills, then take a look at the new Rubik’s Junior puzzles! 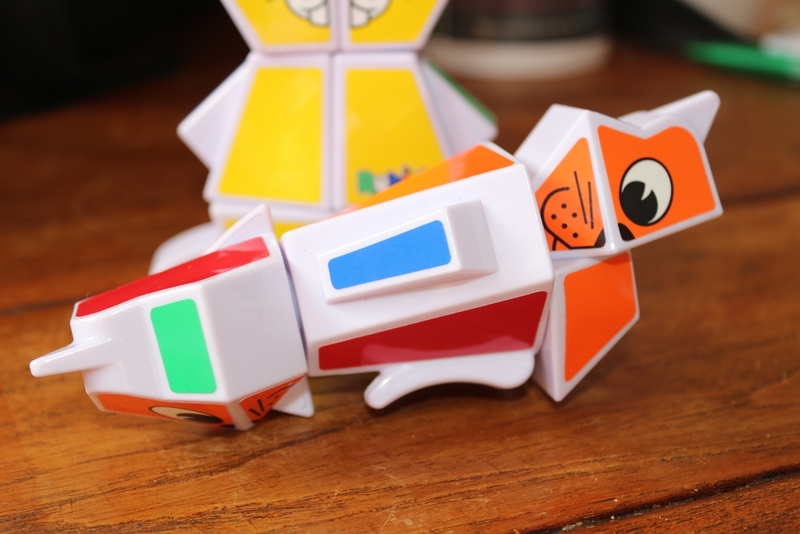 Shaped like a bunny, puppy, bear and kitten, the new Rubik’s Junior puzzles are brightly coloured and fun! Essentially they are like Rubik’s cubes but shaped and with 3 x 2 blocks, which means they have far fewer combinations than the standard 3 x 3 cubes. They are therefore suitable for children from just four year old. 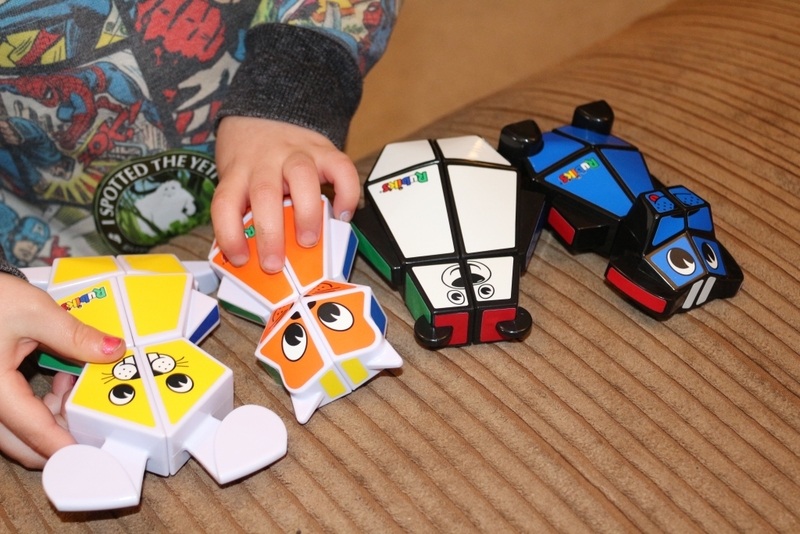 We received the four different Rubik’s Junior puzzles to put to the test. My son is brilliant at jigsaw puzzles so I thought that this would challenge him in a new way, despite him being a little on the young side. The idea is that you twist the puzzle to mix it up and then solve it by twisting it until it’s back to its original state. I have never been able to do a full Rubik’s Cube (not for want of trying; the nearest I’ve got is peeling the stickers off). 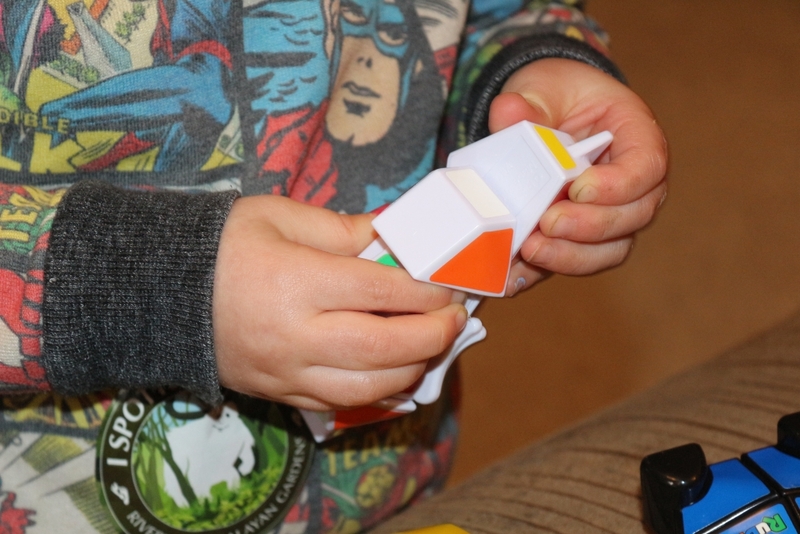 Fortunately, the Rubik’s Junior puzzles are fairly easy to do once you get the hang of it although the children much preferred mixing their puzzles up and handing them to me to solve, which I’m not sure is the point but I’m proud of myself, even though they’re for kids. Shhh. Predictably, my older girl (4.5) lost interest fairly quickly; puzzles have never really been her thing, although she did like the fact that they were shaped like animals and she particularly liked the bunny. My smallest showed more interest but was a little outfoxed. He found them a bit tricky because unless you have them aligned properly they can get stuck when you try and twist them. I suspect by the time he approaches four though he will have it licked. You can see more about them on the Rubik’s site here. The puzzles have an RRP of £9.99 each and can be purchased from good toy shops or via the Amazon links above. 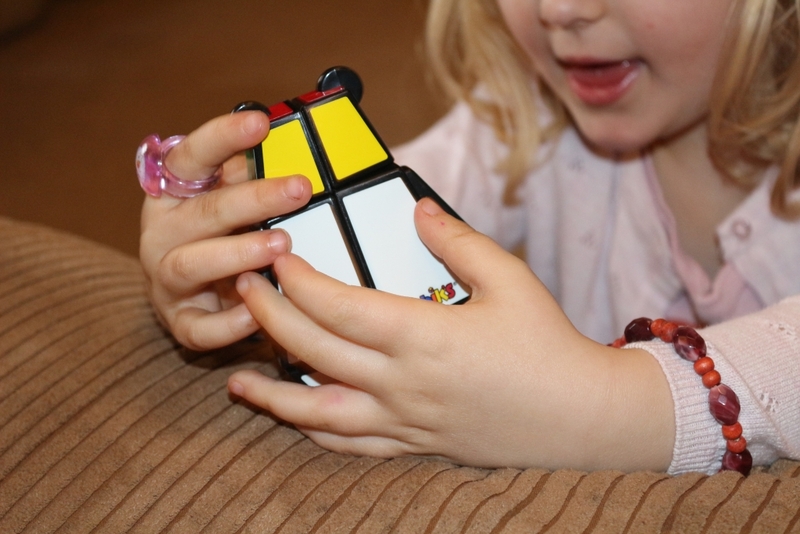 If you’d like to win two Rubik’s Junior puzzles, enter our competition! 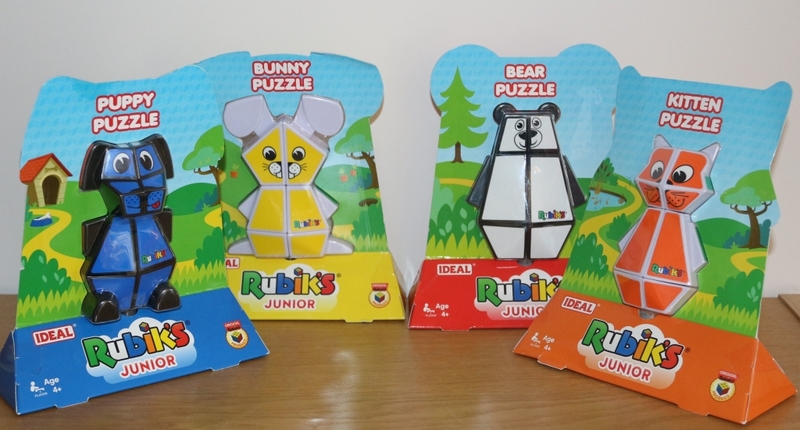 Win two Rubik’s Junior animal puzzles! 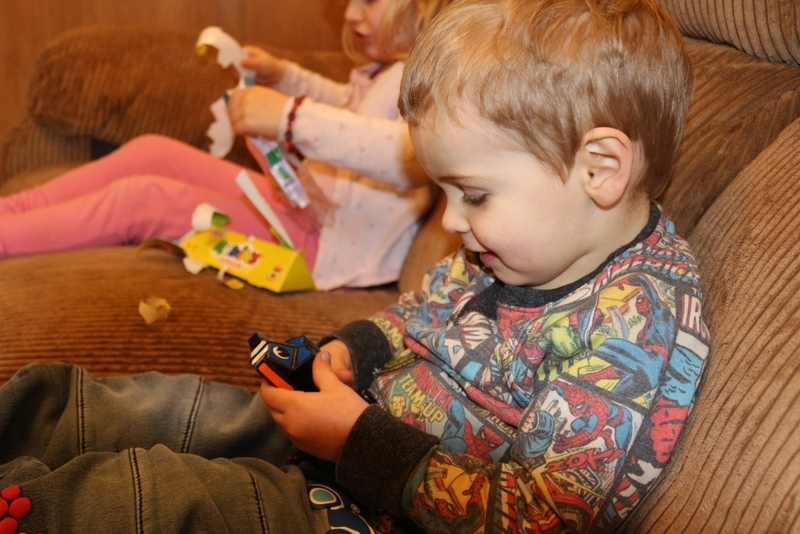 The Rubik’s Junior puzzles are from John Adam’s Toys and we received them for free for the purposes of this review. 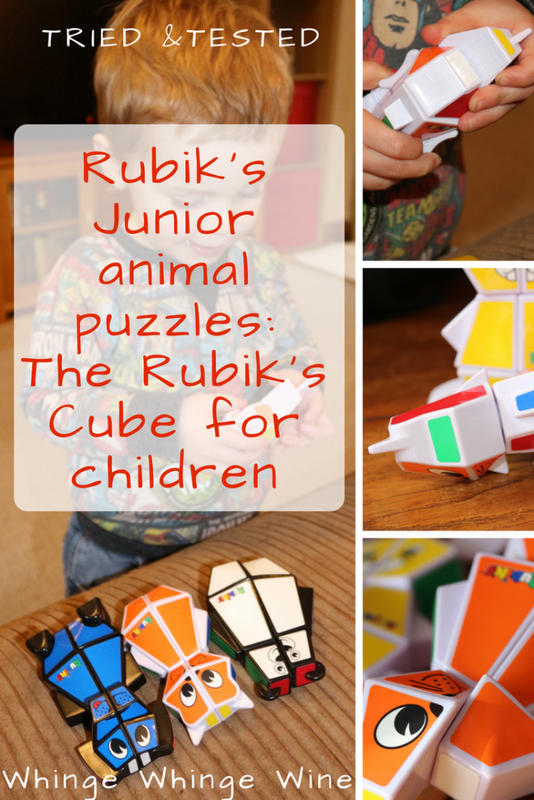 If you think your child might just be a little genius, or perhaps you just want to help them develop their problem-solving skills, then take a look at the new Rubik’s Junior animal puzzles; the Rubik’s cube for kids!